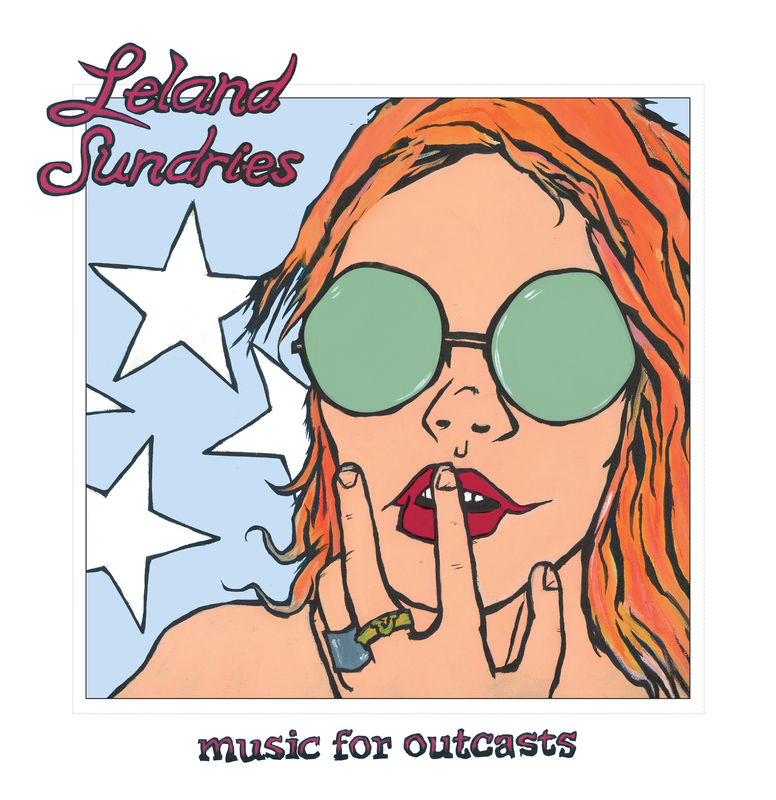 Crackling garage rock meets literate indie rock in a sound marinated in the extremes of New York City on Music For Outcasts, the full-length debut and first UK/European release for Leland Sundries. It comes out February 5 2016 on L’Echiquier Records in conjunction with Décor Records, and places Leland Sundries in the context of bands that combine literacy with overdrive such as Silver Jews, Deer Tick, Jack Oblivian, The Hold Steady, Johnny Thunders, The Modern Lovers and Ezra Furman. 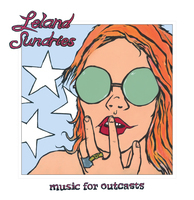 Leland Sundries is the portmanteau under which frontman Nick Loss-Eaton and an ever-evolving roster of Brooklyn, NYC musicians produce the kind of careering, scrappy garage rock which has -via nascent EP releases- already earned the band nods from The New York Times, Village Voice, Pop Matters, London Metro and Timeout. Music For Outcasts itself was shaped by the fall out from two particularly pivotal events in Loss-Eaton’s life, the last few years of which have seen him not only recover from alcohol dependency, but go on to survive emergency open heart surgery. Fairly white-knuckle, stare-down-your-mortality fare for anyone, never mind someone barely out their twenties, and a live-it-out experience which bears its blackly humorous mark across Music For Outcasts. Ironically, the surgery itself presented Loss-Eaton with the opportunity for his first ‘holiday’ in over 4 years- a chance which took him (not entirely to his doctor’s ease) to the UK & Europe for several weeks, to begin work on what became Music For Outcasts. He says, “I hooked up with UK artist/producer Alexander Festival Hall to demo the songs in his tiny East London studio.” Studio recordings were then made in an unheated loft studio in Nick’s old neighbourhood of Greenpoint. On Music For Outcasts, Loss-Eaton turns the microscope on his own scars with a similarly unflinching candour. ‘Freckle Blues’ (written whilst New York was holed up during Hurricane Irene) equates the elapse of time since a relationship’s demise with his own date tally of sobriety, and ‘Maps of The West’ traces an ill-advised foray into dating whilst in the early stages of abstinence. And yet beyond the more personal scorched earth the record rakes over, there is a wider resonance within the world of misfits and missed connections that Music For Outcasts inhabits. The taut, Spoon-esque snap and swivel of ‘Radiator Sabotage’ paints a world of burnt-out glamour as palpable as any of Lou Reed’s succinct dispatches. Even the track titles themselves – ‘Studebaker’, ‘Wallace ID’ – function almost like projector slides, brief flashes of narrative which demand conjecture. Plus Bonus cd has tracks from previous eps!